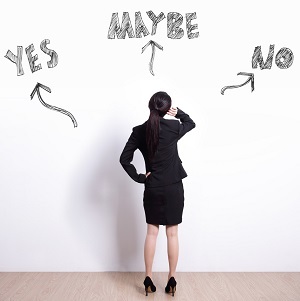 You’ve probably already considered your personal reasons for selling. Now you need to take into account the other factors involved, such as market conditions, your property’s value and tax implications. Unless you’re locked into selling your home (e.g., you’ve already accepted a job offer in another city), it’s a good idea to look at the whole picture before deciding to sell. There’s a rule of thumb to keep in mind when deciding to sell your home: Your home is only worth what a qualified buyer is willing to pay at the time it’s on the market. The current real estate market fluctuates based on supply and demand, interest rates, general economic conditions, and other factors. The same house may sell for more or less under a different economy. Your REALTOR® can inform you of the going price for homes in your area at the current time; this data is included in a comparative market analysis (link to Appraisals and CMAs). There are many dynamics that can affect your tax liability upon selling your home. These issues include whether you purchased the home or inherited it, if you used your home for business or rental purposes, costs associated with selling your home, and any home improvements and additions that you’ve undertaken. The Federal Taxpayer Relief Act of 1997 provides capital gains tax exclusions of up to $500,000 for married taxpayers filing jointly and $250,000 for single taxpayers or married taxpayers filing separately. Current capitol gains rates are 20 percent for those in upper tax brackets and 10 percent for those in lower tax brackets. Overall capital gains rates have been lowered even further — to 18 percent and 8 percent respectively — for assets acquired after December 31, 2000, and held five years or more. To qualify for this tax break, you must have used the home as your primary residence for at least two of the prior five years; these two years don’t have to be consecutive. If you relocate for your job but don’t meet the requirement, you may be allowed to take a capital gains exclusion proportionate to your circumstances. This exclusion is not a one-time benefit; you may take advantage of it once every two years as long as you meet the qualifications. The tax rules differ when you sell a home that you’ve inherited. If you sell the inherited home for a profit, you’re required to pay federal and state taxes on the gain. If you keep the house as a second residence and/or eventually move into it after renting it to tenants, you may take the $250,000/$500,000 capital gains tax exclusion if you meet the requirements. When you’re deciding what to do with inherited property, you should consider the current estate tax laws and basis practices. Beyond these general rules, it’s wise to discuss your home’s sale with a tax professional who can advise you on tax benefits in more detail. Because most sellers finance a new home purchase with the sale of their present home, they usually put their homes on the market before they begin their search for a new home. Learning the price you can expect from the sale often sets the pricing parameters for your new home search. Obviously, it’s not wise to wait until the sale on your property closes completely before beginning to look for your new home. Timing your search properly with the buyers’ transaction can make the difference between having the available funds to buy a new home and cutting down on the interim period between homes.